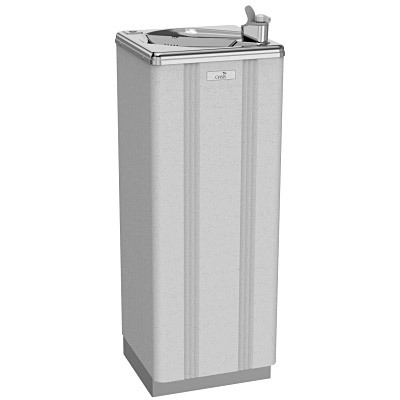 The Oasis PLF13P Water Cooler delivers 13.3 gph of chilled drinking water. Cabinet finish shall be Sandstone powder coated paint on galvanized steel or brushed stainless steel. Cooling system shall use R-134a refrigerant.